Hello and welcome to my website! 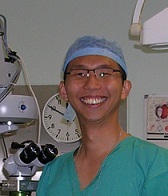 My name is Brian Ang and I am an ophthalmologist and eye surgeon. 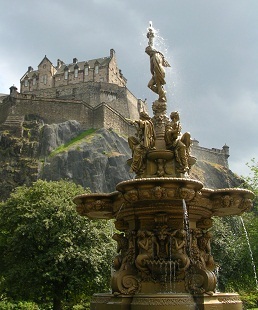 My medical degree is from the University of Edinburgh, Scotland. My training and career have taken me all the way from the United Kingdom to Switzerland to New Zealand and India. I now practice in Melbourne as a glaucoma specialist and cataract surgeon at the Royal Victorian Eye & Ear Hospital, Melbourne Eye Specialists and Western Eye Specialists. I am a keen clinical researcher, having won research grants and published over 70 peer-reviewed articles in medical journals. Equally, I am also family and friend to people with visual impairment. I know how it feels when sight loss affects people close to you. I know how tough it is not being able to see what you used to as it can be difficult to adjust following sight loss. I also know it can be frustrating not having the relevant information about the eye condition affecting you or your loved ones. It is in this capacity that I have created this website. I have been blessed with good eyesight and good health. But some of my family and friends have not been as lucky. My grandfather became visually impaired from age-related macular degeneration. My uncle had to undergo surgical retinal detachment repair. My father has glaucoma. 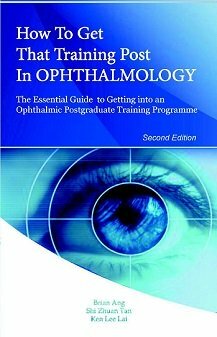 My mum's work colleague developed inflammatory optic neuropathy requiring steroid treatment. Despite the skills and experience I have gained and despite the research I have been involved in, I was not able to bring about any change to their visual prognosis. But I soon realized that even if I could not make their vision any better, I was helping them feel so much better just by explaining things simply and clearly, providing encouragement and clarifying any uncertainty. “If my father was diagnosed with cataracts, what would my mother want to know about this particular condition? And the answer is: information. Not just any information, but factual, correct, honest and relevant information. Eventually I realized what I had to do. I had to try to share my passion and knowledge about the eyes – all the good bits, all the bad bits and everything else in between – with as many people as I can. My aim for this website is to try to convey relevant and meaningful information about the eyes, ocular diseases and ophthalmic treatments so that as many people can benefit from it as possible. And so with the unstinting support and much cajoling from my wife Lindsey, I started creating this website from scratch. It has not been easy for me. I was new to web publishing and I had absolutely no idea what to do or how to start. I have tried to make things as simple and clear as I can. Yet I am sure that I must have been guilty of doing what a lot of doctors do – use some incredibly clever-sounding word when a simple one would have sufficed. So I do apologize if this happens occasionally as you browse through the website. 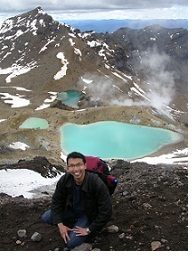 In some respects, making this website has been tougher than completing the breathtakingly awesome Tongariro Crossing in New Zealand. One thing is for sure though. While looking through the internet, I realized how incredibly difficult it must have been for readers to tease out what is real, clinical evidence-based medicine and what is tantamount to misconception. Many claims are made over the internet, some genuine and others not. It is not my intention to use this website to prove or disprove any of the claims. Rather, I prefer to use this website as a resource for readers to find out more about the eye the way I see it. Perhaps unusually, I am fairly open-minded about alternative therapies and complementary remedies. I firmly believe that just because there has not been any evidence for the efficacy of any therapy, it does not mean that the therapy does not work. It might, if used correctly for the correct group of patients. It just shows that we do not understand enough about the therapy to utilize it fully. Equally, just because a treatment is being heavily advertised and promoted does not mean that there will be any value in the treatment except for enriching certain quarters. What I write on alternative therapies and complementary remedies is based on what I have read and on what others have experienced. It is not based on any clinical experience or formal training in these therapies on my part. I have also been involved in charity work, including as a Visionary volunteering as part of the Sight For All In-Country Glaucoma Fellowship at Khmer Soviet Friendship Hospital in Phnom Penh, Cambodia. During this trip, I was able to train Khmer ophthalmologists in the use of micropulse cyclodiode laser for intractable glaucoma. The content of the website is from my unbiased and honest clinical opinion, and some aspects may seem controversial. But a little bit of controversy is good because it stimulates discussion and in the end, hopefully everyone can learn something new from the discussion. I would like to emphasize that the website must not be taken as a substitute for a proper eye examination by a qualified and licensed ophthalmologist. If you are at all concerned about any aspect of your vision, please consult your ophthalmologist without delay. I would also like to add that the presence of any advertisements in the website does not constitute any endorsement on my part for the products or services advertised. Writing this website has given me plenty of frustration and sleepless nights. Yet, it is a labor of love that is fulfilling because I feel that I am now able to help, in my own small way, the wider community at large, and not just the local patients I see on a daily basis. Even if the website benefits only one reader, I will be satisfied that my efforts have paid off. I hope you will enjoy browsing through the website as much as I have creating it. Thank you for visiting and for giving me the opportunity to share my passion about eyes with you. To your vision and eye health!